We listen. We want to understand the requirements of the project from the client’s perspective. We want to know what’s important to you. We understand budgets. We realize that every project has a budget and we will design systems that fit within yours. We save energy. We emphasize efficiency to help your bottom line. We follow through. We work through the construction phase to make each project a success. Our electrical engineers are experts in interpreting and applying building codes with a focus on delivering solutions that promote safety. Fault current analysis and arc flash analysis are critical in determining equipment ratings and appropriate safety measures for servicing equipment. Furthermore, we offer valuable input on how to distribute power in the most efficient manner while minimizing cost. 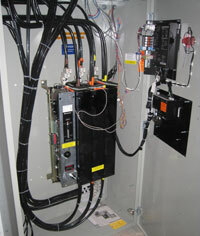 As certain equipment and processes become more critical the need for reliable emergency power has increased. We design emergency power systems utilizing emergency generators and uninterruptible power supplies (UPS) as dictated by the needs of each facility. Whether you need to address basic life safety needs or your facility has critical processes that cannot be interrupted we can design an emergency power system to keep your equipment energized. Lighting is an expression that defines space and creates an atmosphere. Our lighting design services include architectural lighting for all spaces, accent lighting and exterior lighting. Our approach to lighting design is defined by years of continuous learning. In addition, we’ve been privileged to work with lighting designers and architects who have shared their experience and philosophy. We will use everything we have learned to achieve the end result you are looking for.New technology in the lighting industry lends itself to longer life, lower wattage and better controllability. Putting this technology to use in your facility saves energy. Combining new lamp technology with automatic controls can further reduce energy consumption and utility costs. We can bring light to your building without breaking the bank. We can make your building stand out. We can create the atmosphere you want. You can express yourself through light and we can help you do it. Sustainability is not just a buzz word; it’s a responsibility. As engineers, we design systems that impact people and the world around us. Buildings consume natural resources. It takes energy to operate building systems. It is our responsibility to determine the best way to maximize the occupant experience while minimizing the economic and environmental impact. Sustainability is not a new concept to us. It’s been at the heart of our company since its inception, and it continues to be a point of emphasis. Building Information Modeling (BIM) is a tremendous design and construction tool. It allows everyone from designer to end-user to view conceptual buildings in three dimensions. In addition, this software aids in lighting analysis and in establishing HVAC loads. As BIM has continued to develop and evolve we have embraced its capabilities and put it to use. We are confident that it enhances our ability to design mechanical, electrical and plumbing systems while reducing conflicts. It also enables us to better understand each space in a way that was simply not available when designing in 2-D. If you are a designer or contractor using BIM we can help you achieve the finished product you and your client deserve.